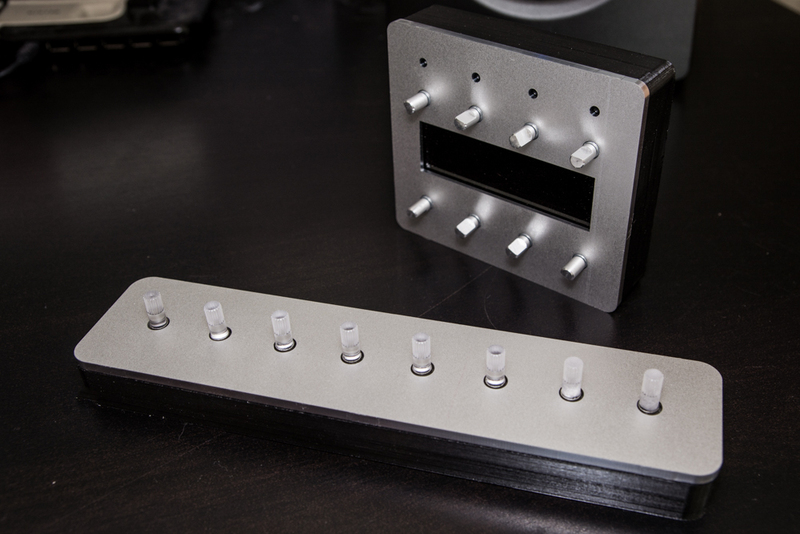 We are making progress with the new enclosures for both Eight and Live Device. We’re going for an aluminium face plate with either wood / plastic base. Pictured are our prototype 3d printed bases. What do people prefer, wood or plastic?